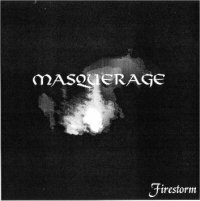 Masquerage was formed back in 1998 by the guitarist/vocalist Kimmo Perämäki (ex-Celesty, Athmosfear) and drummer Marko Ylä-Häkkinen. Keyboard player Mika Maunus joined in ’99 and in the same year it was time to record the first demotape. Back then the band was called Unchained. In the year 2000 bassplayer Mikael Kontolampi joined the line-up and the name was changed to Masquerage. In the next four years this line-up recorded four demos, performed live inside the borders of Finland and worked hard with their music and sound. 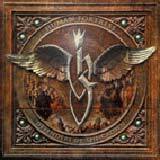 In the summer of 2004 guitarist Jukka Viitasaari (Confusion) completed the current lineup and the Masquerage that we know today was ready to get serious. 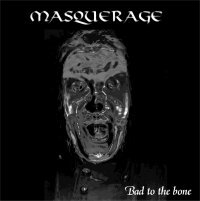 Masquerages style has been influenced by such bands as Iron Maiden, Helloween, Pretty Maids … and many others too … but as every member of the band brings in his own personality and style, Masquerage doesn’t have to sound anything but itself. The sound consists of two electric guitars, Markos powerfull drumming, Mika´s keyboards as a spice or a flavour and most of all - Kimmo´s highly recognizable voice. 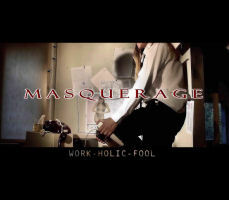 Masquerage has been pushed in many different genres of heavy music. For someone it is power metal and to another too pop to listen to. Maybe we can call it heavy-pop or soft-heavy-metal or as the singer Kimmo Perämäki himself has defined: the music he makes is hard-rock-metal. All in all the point is that this music is powerfull and hard, but not too serious. 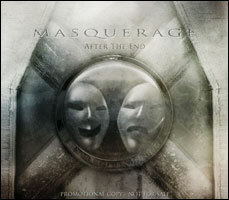 The first full lenght album by Masquerage was recorded through out the year 2005. Supervised by VolantoBros Masquerage laid down 12 tracks of their cheerful heavy rock music. For the year 2006 the expectations are high and the band is ready to take a step higher and their place in the continuum of heavy music.